The LEAD team develops and delivers workshops that foster leadership skills and citizenship. The team consists of passionate, diverse and inspired Peer Leaders who are committed towards your personal growth. To learn more about the individual Peer Leaders click here, the team looks forward to meeting you soon! Join us for an exclusive training opportunity that will encourage you to develop self-awareness, expand your leadership, and explore your impact on community around you. This great opportunity is recommended for all Faculty of Health students and is mandated for Peer Leaders. Take your leadership to the next level by attending our Advanced Peer Leadership Training. Developed by student leaders for student leaders like yourself, this training will boost your competencies by covering topics such as creating and delivering presentations, leadership styles, and effectively communicating feedback. Additionally, you will have an opportunity to develop your emotional intelligence, growth mindset, and resilience in a collaborative environment of peer-to-peer learning. Upon completion of the training, students will receive a certificate of completion and be given preference when applying for leadership positions. The purpose of the Leadership, Exploration and Development (LEAD) Essentials workshops is to develop student leadership and citizenship. LEAD Essentials Workshops will equip students with the knowledge, skills and tools to positively contribute to organizations and society. 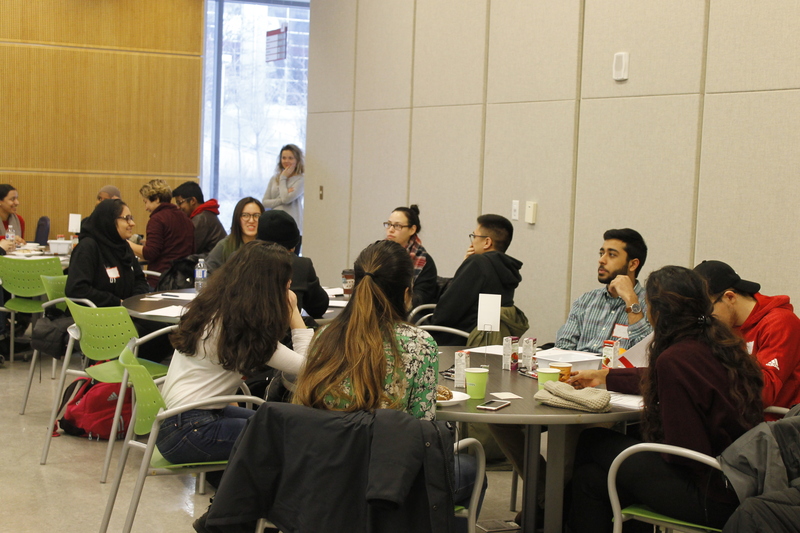 Attending the LEAD Essentials workshops will provide students with an opportunity to network with fellow students, Peer Leaders and Leadership Coaches. "Empathy and Leadership", "Financial Planning", "Perfectionism", and "Motivation"